Mike and I went to Yellowstone last month. Every time we visit there, I’m shocked at how much has changed and how much is EXACTLY the same as it was when I was a child. 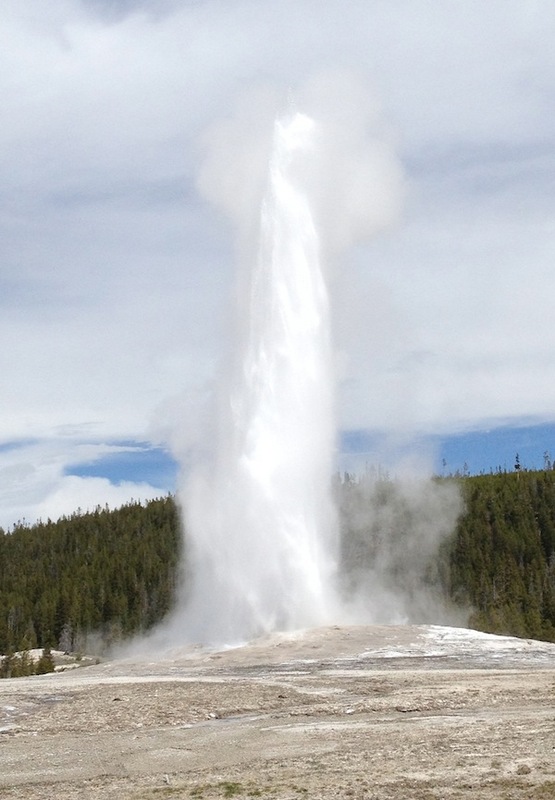 For example, Old Faithful looks exactly the same to me as it did when I was a kid. 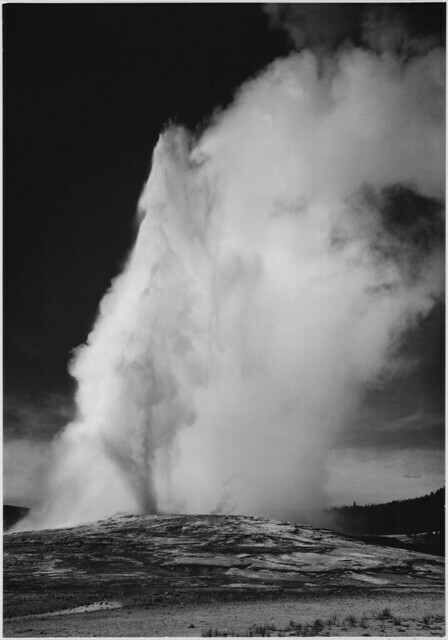 In fact, based on this photograph by Ansel Adams, it’s the same as it was in the 30’s. It looks very similar to my photo taken in April. 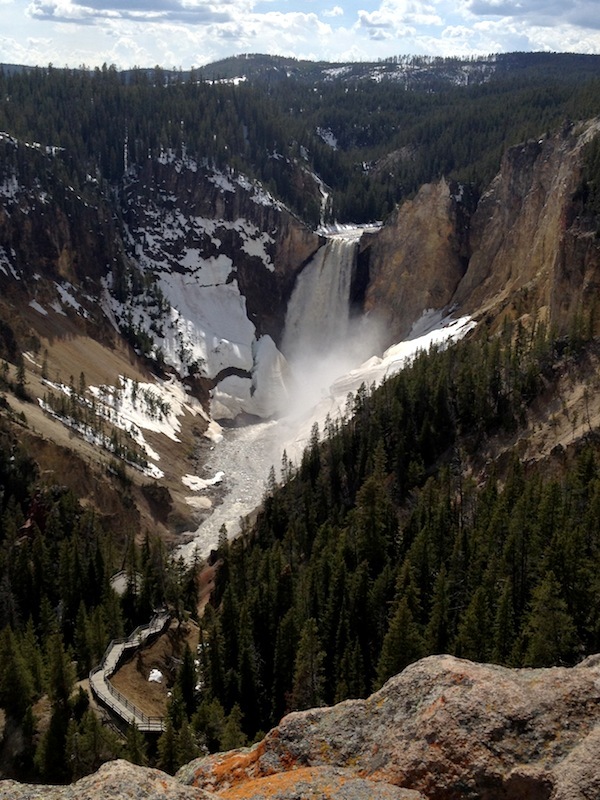 The Yellowstone Falls in another timeless place. Here is a photo also from the 30’s by Ansel Adams. My photo from last month looks very similar. Even the snow clinging to the side of the mountain is similar. Part of me loves Yellowstone because it is the same as it was when I was a child. I can walk the pathways and remember how I felt doing the same thing when my grandparents took my sister and me there. I am surprised at how different it feels to see the geysers, hot pots and terraces. As a kid, I was so bored, but as an adult, I’m entertained, not only by the natural beauty, but by the memories of my past visits. Perhaps Yellowstone looks so unchanged to me because I have changed so much.